Hunting for rewarding hotel jobs? Looking for ways to make your job search more fruitful and effective? Seeking the assistance of leading hospitality recruitment agencies in Kolkata can be your most informed career decision. Wondering why? Read on. 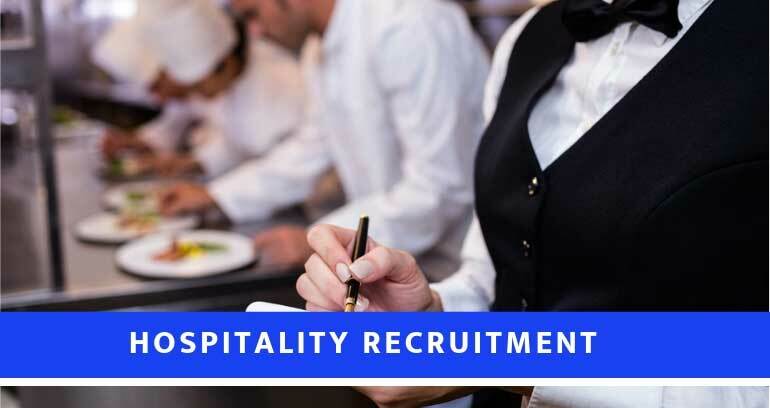 Whether you are on the lookout for entry-level jobs or senior level positions, the best hospitality staffing agency can help you find high-paying jobs. Choosing a recruiter with years of experience in placing the right candidate to the right job, can even help you qualify for hotel jobs abroad. Working with skilled recruiters can even take a lot of pressure off your shoulders, helping you secure the best opportunity. Here’s everything you need to know about seeking the assistance of qualified hotel recruiters. Why Are Hospitality Recruitment Agencies in Kolkata Good For You? • Staffing agencies can provide limitless career opportunities owing to since they have numerous employers in their extensive network. • Recruiters are industry experts who know the trends, updates as well as the prospects of the hotel industry. • Job consultants will do everything to prepare you for potential job opportunities as they have a stake in your success. • By asking about your experience and skills, staffing agencies can do the job searching for you. Consider asking your peers in the hotel industry about the staffing agency they loved working with and benefitted from their services. Inquire if they would like to recommend you any recruiter. This is a major consideration to bear in mind when looking for recruitment agencies. If you are someone seeking career hospitality jobs abroad, look for a top hotel job consultant in Kolkata who offers a wide range of placement services. From helping candidates find the best internships to assisting them with visa documentation, ensure they specialise in offering a range of services. Checking the website of the company is a vital factor you must keep in mind when looking for hospitality recruiters. This will help you determine the quality of placement services offered by them. For example, if you are seeking hospitality jobs abroad, ensure the agency you are considering has an extensive network all over the world. Speaking to the recruiters beforehand will help you determine their communication skills. Check how well they interact over the phone or Skype. Ensure the recruiters you are considering sounds credible as well as professional. Remember; there’s nothing more beneficial than having recruiters who are eager to find you the best match. Now that you are aware of everything, what are you still waiting for? Time to approach the best hospitality recruitment agency and be assured of a lucrative career ahead! Also read: How Can a Top Foreign Education Consultancy Help In Studying Abroad?